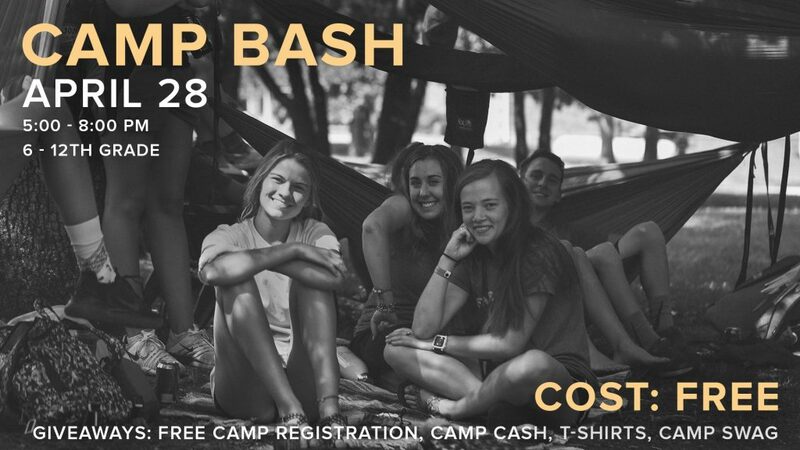 Get a sneak peek at what you can expect this summer at camp during Northside Youth’s Camp Bash on April 28. Free for all 6th-12th graders, the evening will include games, food and prizes. Some of our great giveaways include a free camp registration, camp cash and camp swag.